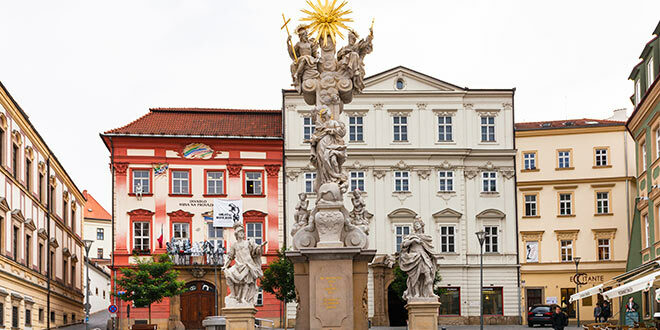 Home / Excursions Outside of Prague / Brno / The British have discovered Moravia: What is it like in Brno? The British have discovered Moravia: What is it like in Brno? “Smaller than Prague, but also very rich in historical monuments.” That is how the British newspaper The Guardian defines Brno. It describes the ways in which Brno is better than Prague, and remembers to mention the well-known rivalry among the citizens of Prague and Brno. Why should Prague be the only city to be advertised abroad for tourists; why should the UNESCO landmarks in Prague be exclusively promoted? 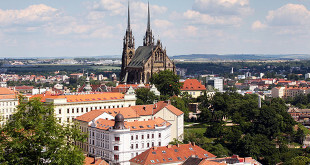 Is Brno better than Prague, asks The Guardian? “Charming Brno, the second largest city of the Czech Republic. Prices and queues are only half the size of Prague…” That is how Tim Bryan’s article in The Guardian begins. What pleased him the most is that a mere £70 (ca 2000 CZK) was enough for the whole weekend. He points out that as the city is compact, you do not need a taxi and you can get everywhere on foot. “The city centre is surprisingly rich in sightseeing landmarks. Habsburg houses, operas, communist-era concert halls,” and, as the best, he highlights the functionalist-style Villa Tugendhat, which is – along with the Speilberg Castle – on the UNESCO list. It is located only a few minutes away from the compact city centre. Bryan is highly impressed with good, cheap food and drink. “While in Prague you must speak Czech fluently and navigate skilfully to find beer under one pound, in Brno beer is cheaper than water,” he enthuses. During his weekend trip, Bryan tried several restaurants and pubs, yet he managed to stay within his 2000 CZK limit. Getting there: Ryanair offer cheap flights to Brno from London-Stansted.